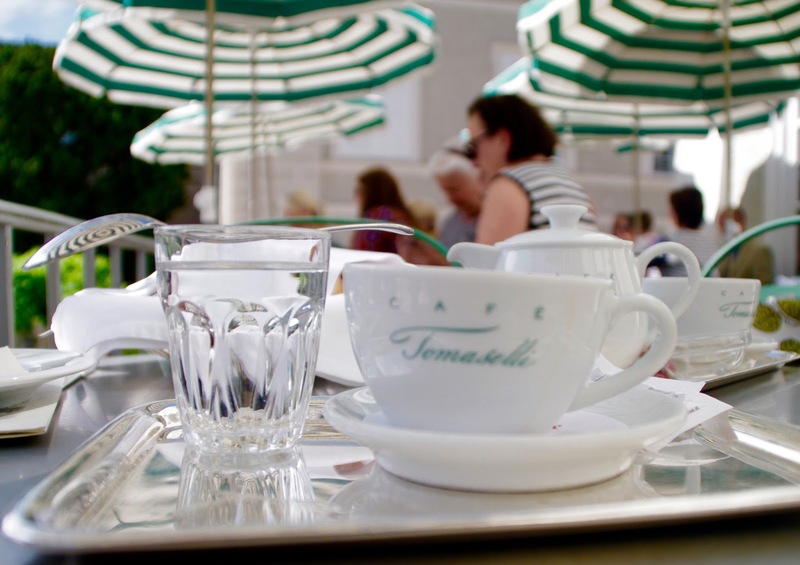 I was very excited to begin my first full day in Salzburg at the aforementioned, in my previous post, Café Tomaselli. 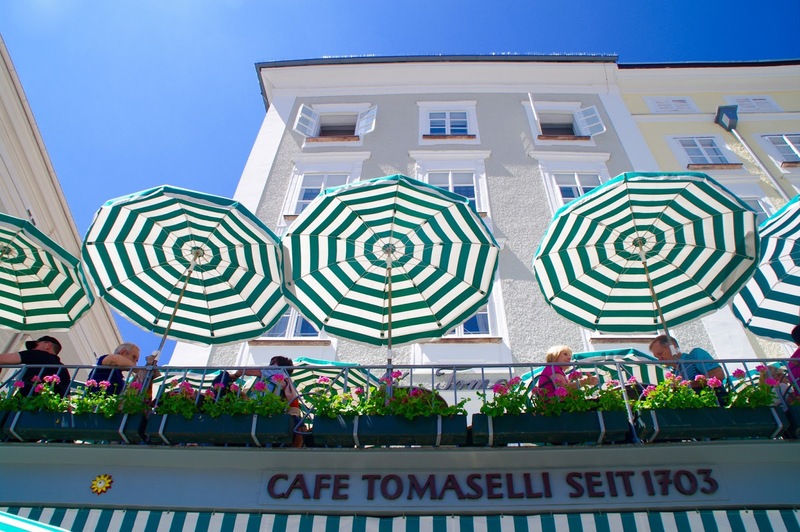 Not only is Tomaselli a piece of Austria’s history, but it is also a picturesque coffee shop and the ideal spot for breakfast/brunch in Salzburg. 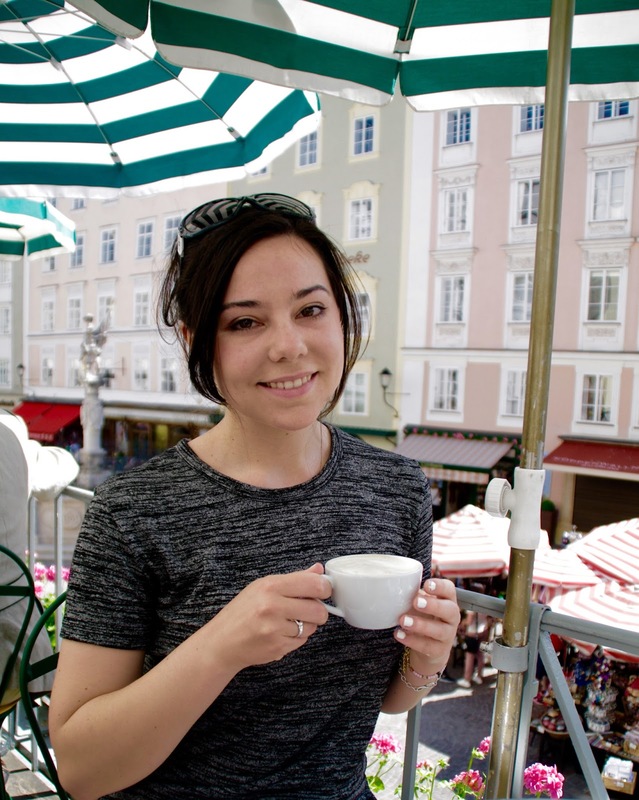 We were lucky enough to grab a spot on the balcony overlooking Salzburg’s main square, perfect for people watching. I had the Viennese breakfast: two rolls of bread, jam and coffee. There was also a woman who would come around ever so often with confections and cakes, so we purchased a cake off her as well. 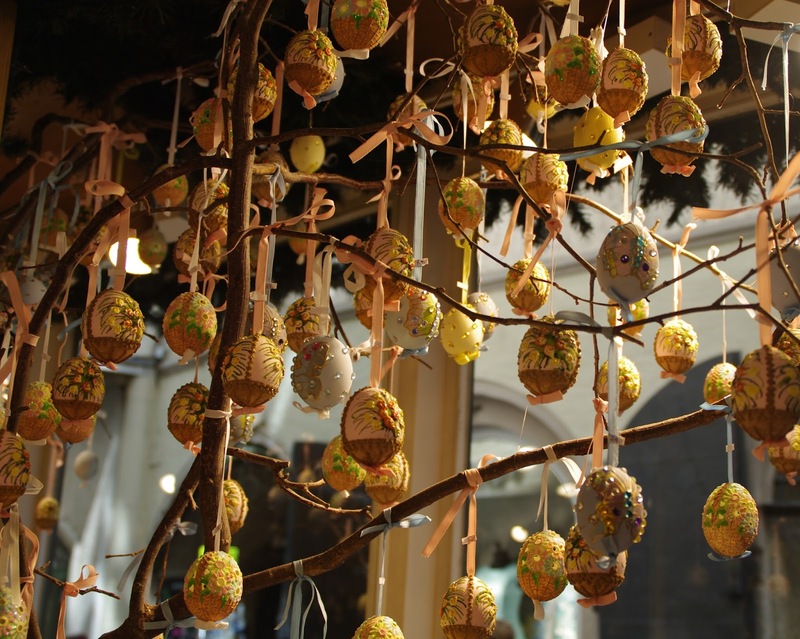 Breakfast was followed by a walk around the historic city, weaving in and out of the shops along Getreidegasse. 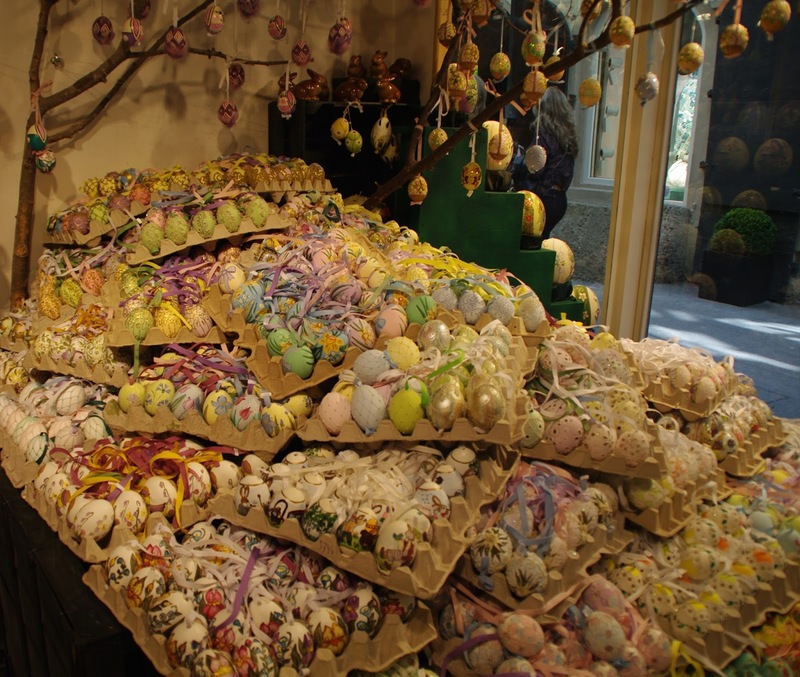 This one store was filled entirely with painted egg shells, real eggs! 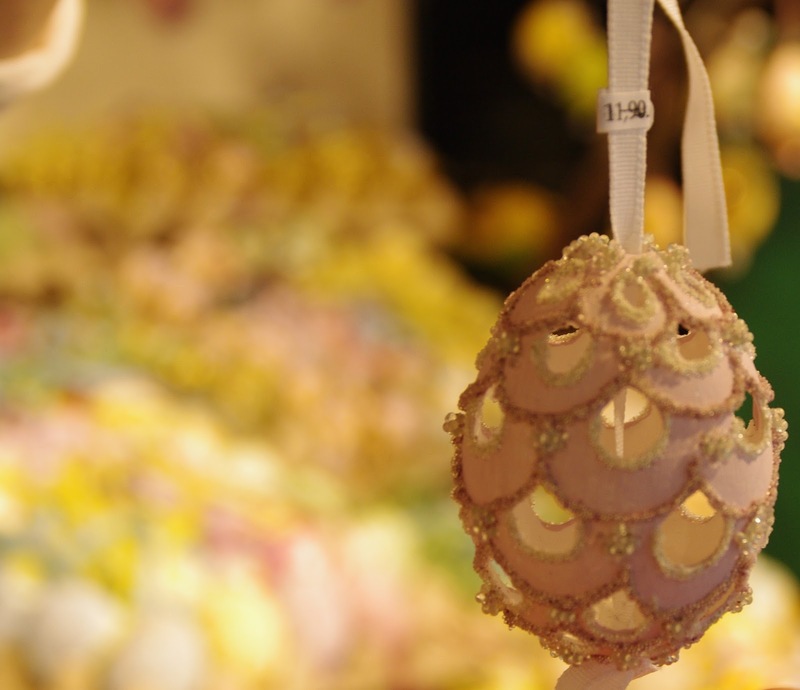 The shells were stunning, due in part to the sheer mass quantity of eggs, my pictures show only a small quantity of a decent sized store, of which the sole purpose was to sell painted egg shells! Our afternoon was spent in a biergarten. Such a unique place! Though I don’t have a taste for beer, I am always game to do as the locals do while travelling, especially to try local fare. I actually finished my entire one-litre stein of beer. The atmosphere in the beer garden is so lovely. Relaxing in the cool shade of the trees with friends on a summer day, I wish we had these in Canada! 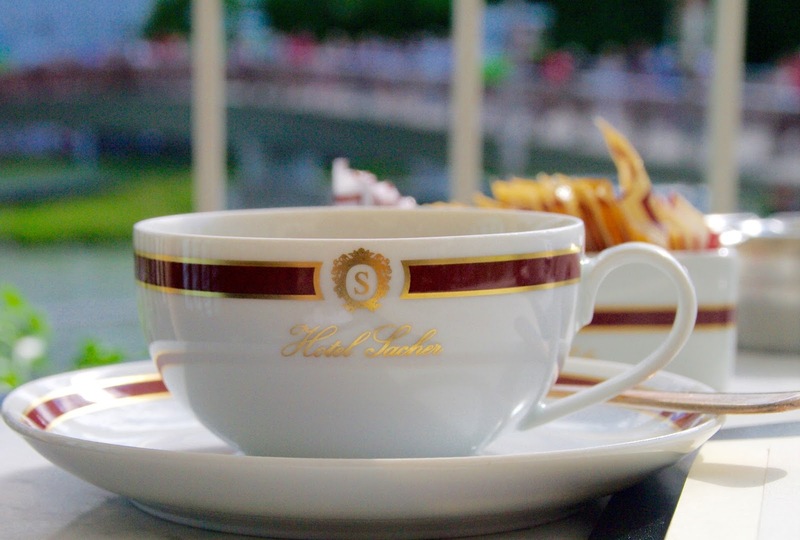 We concluded the day with a slice of cake and cup of coffee at the Sacher Hotel. 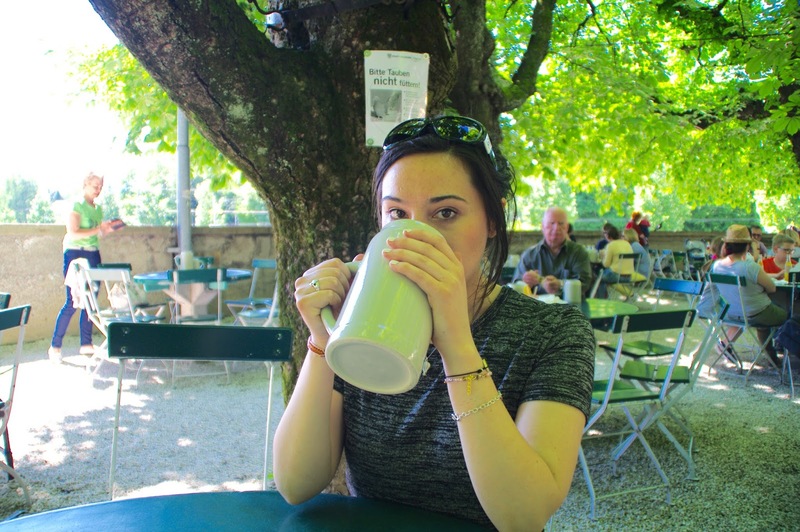 (I would like to take a moment here to address that I in fact did do other things in Austria other than eat!) 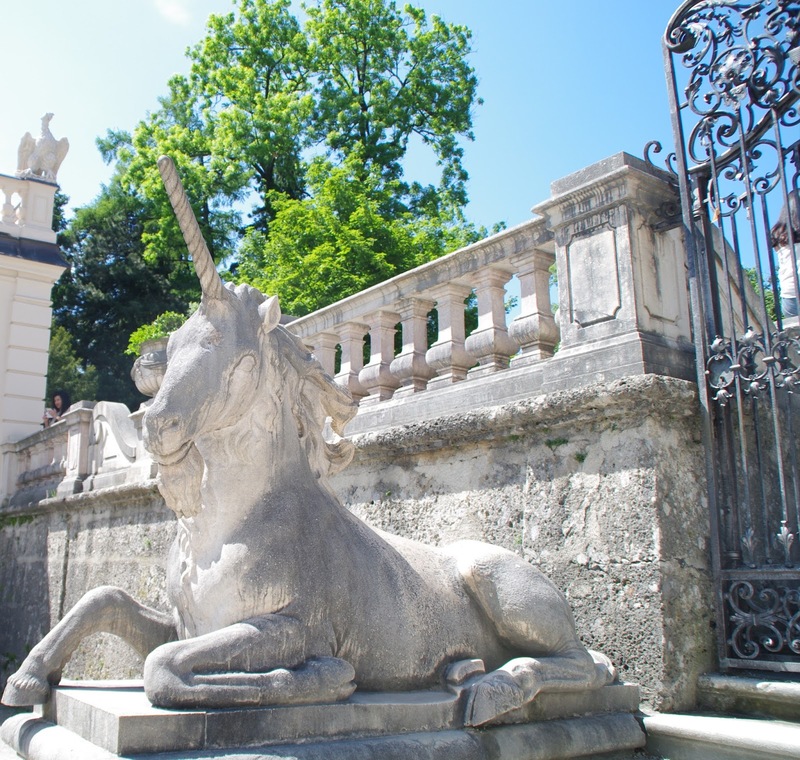 The Sacher is a delicious piece of Austria’s history. 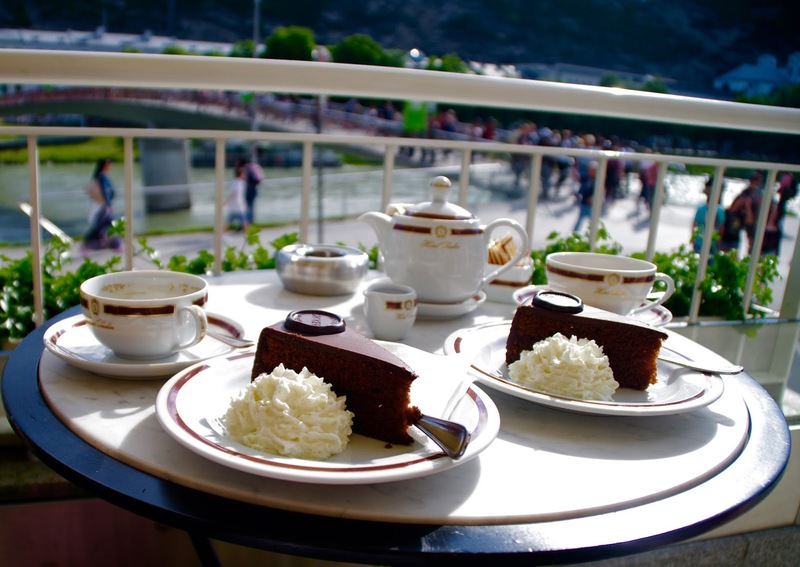 The famous Sacher Torte, a chocolate cake with a marmalade centre is a must in Vienna or Salzburg. The Sacher is the only place to find the original recipe for the cake, stored in a safe and seen by only a few, how divine! 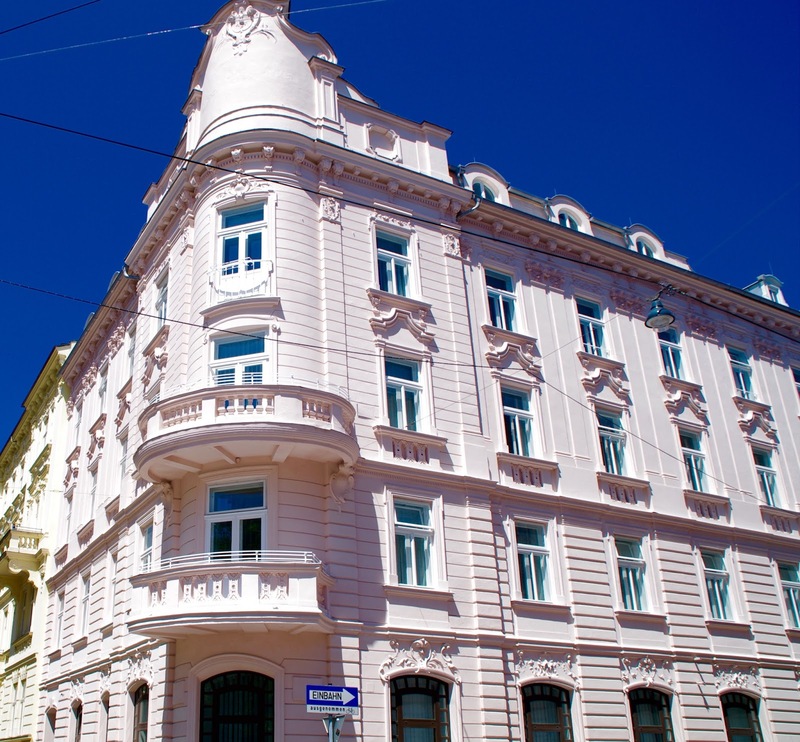 The hotel itself is a work of architectural art. We sat outside with a view facing the Salzach, the perfect end to a day in Salzburg. Upon asking for the cheque the Austrian waiter told me he didn’t want me to leave (blush), nor do I darling, nor do I.